On June 25, Koreans around the world will commemorate the 65th anniversary of the beginning of the Korean War. It was a battle for freedom that would leave their beautiful country divided, families separated, and thousands of children orphaned and homeless. My father, Bob Pierce, was speaking to a packed audience at the Church of the Open Door in Los Angeles on that particular Sunday. They had come to hear him speak about the incredible way God had blessed the evangelistic meetings he had held in April and May throughout the Korean peninsula. More than 25,000 people had come to Christ. He was finishing his message when he was handed a note stating that the Korean War had begun. For most Americans, the Korean conflict was only important because U.S. troops had been sent there to fight. But for Bob Pierce, the war was personal. 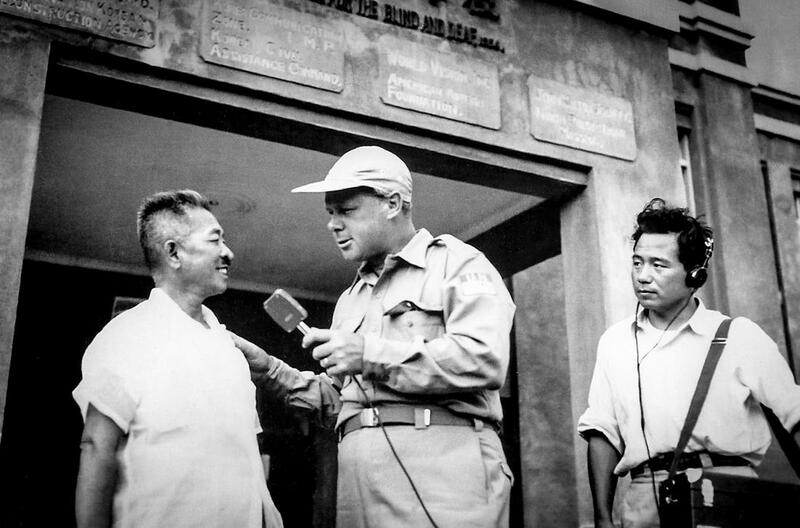 He had just returned from holding two months of evangelistic meetings in the republic when communist troops advanced over the 38th parallel on June 25, 1950. The result was three years of bloody war. Through friends, Dad heard that families, who had hosted him in their homes, had been forced to join the endless stream of refugees fleeing southward; pastors he had ministered with had been arrested and some executed, along with their entire congregations; and missionaries he had come to love had been interned by the invading North Korean army. By September, he was back in Korea as a war correspondent, flying with the military to the front lines of battle and using his camera to capture the systematic destruction of a country whose infrastructure and economy were already considered among the poorest in the world. South Korea’s lush natural forests were burned, rice fields and fruit trees were bombed, villages were razed, and major cities were pounded into rubble. When the war ended, all that was left was a devastated landscape and unspeakable human suffering. It was during this time that my father wrote his famous prayer in his Bible: “Let my heart be broken with the things that break the heart of God.” But powerful as that prayer was, Dad understood it wasn’t enough. What the Korean people needed was an advocate who would help them rebuild from the ashes. Shortly after he returned to Korea, Dad reconnected with a pastor who had translated for him during his crusades. Pastor Han Kyung Chik, a graduate of Princeton Theological Seminary, had once pastored a large Presbyterian church north of the 38th parallel. But growing communist persecution had forced him and many of his flock to abandon everything and flee south. They arrived in Seoul with little more than the clothes on their backs. Pastor Han rose to the occasion with all the wisdom of a patriarch. Soothing his people with the ministry of the Word, he set about organizing them into cooperatives. A plot of ground was proportioned to the men, who prepared the soil. From relief agencies, [the Rev. Han] obtained enough seed for planting. He kept the women busy making clothes out of scraps and rags. Administrators made sure everything was equally divided. The most nourishing food went to the sick … the warmest clothing to the frail and feeble. Heaviest chores were done by the strong … handwork by those whose shoulders could not lift heavy burdens. Women who could not work in the fields looked after the children of mothers who could. Pastor Han secured a tent and organized a school where those with academic training taught. He located a bombed-out factory … and reclaimed enough scrap wreckage to get the plant going again. In a year’s time, one hundred families were earning their bread and shelter from this source. The church that began in that Buddhist temple was called Young Nak Presbyterian Church, and it would grow to be one of the largest Presbyterian churches in the world. But more importantly, Dr. Han would be my father’s dearest friend, mentor, and co-worker throughout his ministry. Seeing what Dr. Han’s church had accomplished with no outside support convinced my father that the Korean people would help themselves if they had the means to do so. He quickly converted the movie footage he had taken in Korea into a film entitled The 38th Parallel. With the movie in hand, he began speaking in churches across the United States and Canada to raise funds. Soon World Vision, which had been established as a nonprofit in September 1950, was channeling hundreds of thousands of dollars to projects all over South Korea. Partnering with Young Nak Church, World Vision’s first project was the Tabatha Widows’ Home. Small group homes for children soon followed. Other churches began approaching Dad for help, and the work grew exponentially. 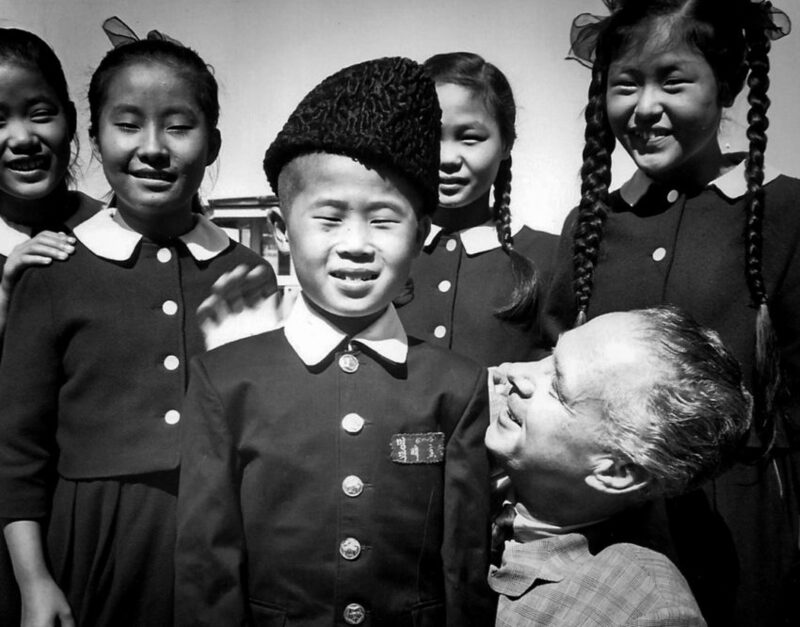 When the war ended in 1953, Dad realized he needed a consistent source of income if World Vision was going to continue to care for Korea’s orphaned children. So, borrowing the model from Christian Children’s Fund, World Vision child sponsorship was born. 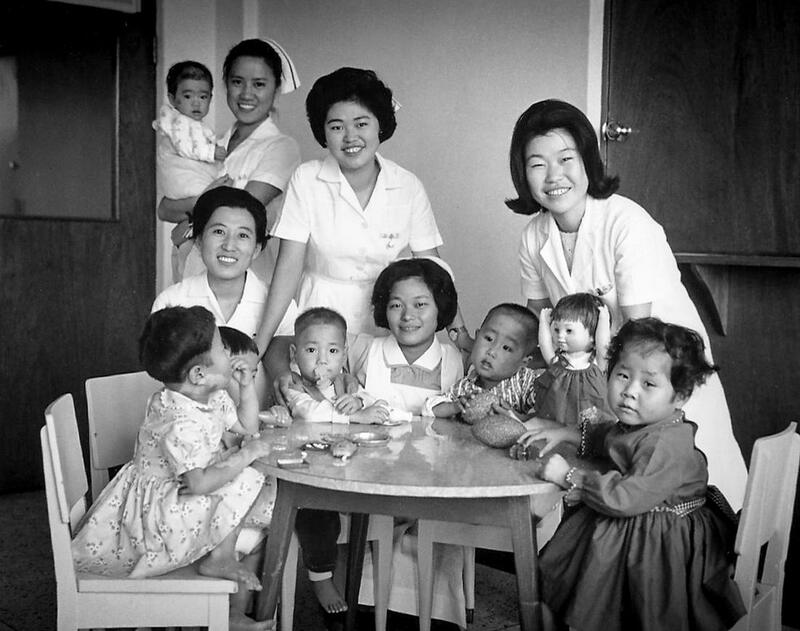 By 1965, more than 15,000 children were being cared for in 156 orphanages throughout South Korea. 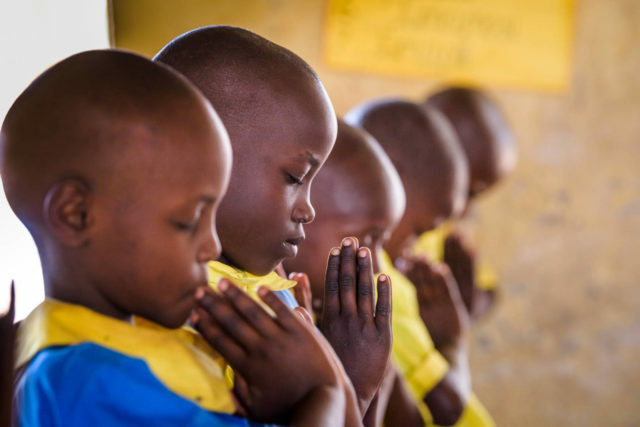 World Vision provided the funds through sponsorship, and the homes were run by Korean Christians from more than a dozen different denominations, including the Salvation Army, Methodists, Presbyterians, Baptists, and Oriental Mission Society. To this day, the government of Korea recognizes World Vision as the major humanitarian investor in the rebuilding of the country’s hospitals, churches, schools, and infrastructure after the war. 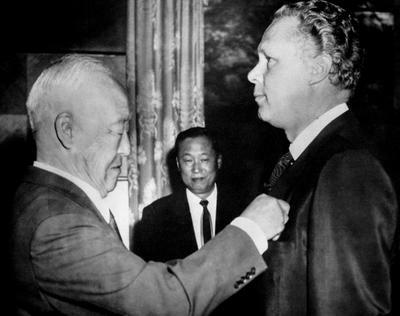 In recognition of his many contributions, Dad was awarded the highest honors Korea gives a civilian, including the Grand Order of Mugunghwa in 1963. But I am sure my dad would say his proudest moment was when he cut the ribbon to open World Vision Children’s Hospital in Taegu. Under the leadership of Dr. Howard Moffat, a Presbyterian medical missionary, the hospital was a state-of-the-art center of healing for the children of South Korea. Between 1963 and 1980, more than 540,000 children received free treatment for tuberculosis, polio, and other debilitating diseases. 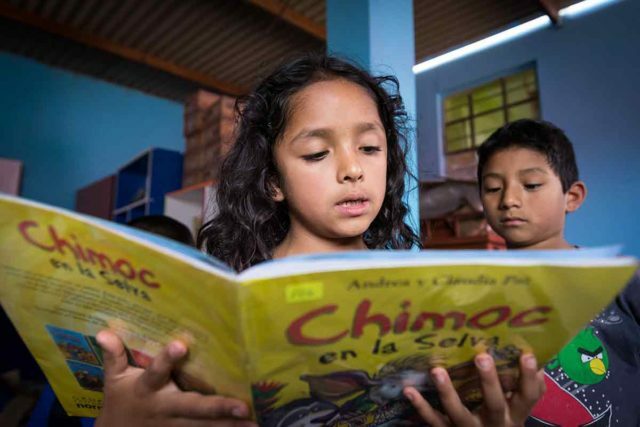 Suffering children were not the only ones World Vision cared for. Ever since his first trip to China in 1947, my father had a special heart for those stricken by leprosy, or Hansen’s disease. Korea’s lepers were especially vulnerable. Working with Dr. Joon Lew, a groundbreaking researcher in the treatment of Hansen’s disease, World Vision donated $100,000 in 1955 to establish an outpatient clinic and equip a research institute at Yonsei University. In 1958, the World Vision Special Skin Clinic and Leprosy Research Institute were built. In 1965, 12 years after the war ended, Dad took me to Korea for the first time. I was 15 years old, and I still remember the way the air smelled — like Daddy’s suitcase — and the excitement I felt as I finally set foot on the land that had claimed my father’s heart. We were met at the airport by Marlin Nelson, World Vision’s second national director in Korea. The road from the airport into Seoul had been newly paved with World Vision’s help, but most of the other roads were dirt. The land still bore the scars of war, but everywhere I looked there were signs of life. Bombed-out buildings were being repaired, and new homes replaced those that had been destroyed. The streets of Seoul were full of people selling their goods to women with chubby babies on their backs. Men in traditional white and black robes with long, wispy beards and high, black hats sat in front of their shops, watching for potential customers. And everywhere we went, I saw groups of children dressed in their dark blue school uniforms, laughing and chattering as they walked. Today, Korea has the 12th strongest economy in the world, and it is one of World Vision’s top 10 donor nations — blessing others with the same spiritual hope and practical help they once received. Lord, give us the vision and strength to respond to Your call to go where the need is greatest. And by Your grace and provision, make Korea an example, not an exception, in this hurting world. 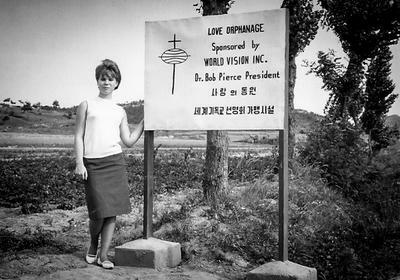 Marilee Pierce Dunker travels the world as an ambassador for World Vision, the organization her father, Bob Pierce, founded in 1950. Like he did, she shares stories, pictures, and personal reflections, bearing witness to the extraordinary ways God is using his people to share the gospel and care for the poor. 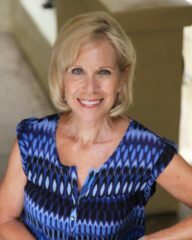 Visit World Vision’s Speakers Bureau site to request Marilee or another World Vision speaker to present at your upcoming event.